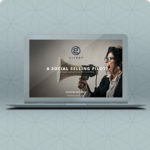 Everybody is already social selling, right? 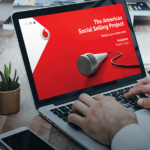 Many organisations have invested, in small or large part, in some form of social selling initiative or programme within their business. 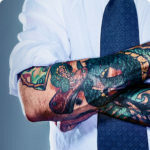 For most, however, this has involved the purchase of expensive tools such as Linkedin Sales Navigator or Artesian with the expectation that they will automatically instil a social selling approach. The outcome: sharing, lots of sharing, and no selling. The reality is that these tools are just that: tools. 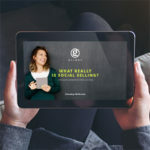 Social Selling is simply the use of readily available social media channels to develop credibility and create connections, build relationships and uncover new opportunities. It’s about sales, not social media. It’s a new way of working, not a digital tool. We educate people how to use the tools to sell; we show them how to build credibility and personal brand amongst their target audience through relevant content; and we deliver simple methodologies that mean people can embed this new way of working into their day to day activities. We still, and always will, believe that people buy from other people… but only those who know what they are doing and can convince others of it. So people will only buy from people that are credible, and a major part of social selling is establishing that credibility. Trust comes later when you’ve done what you said you will do, then they will buy more from you. And we know that they learn from each other too… and they respond to peer to peer examples more than they ever will a cheap incentive. So, within our education programmes you’ll never find a points system with a tacky prize. But we also know that to scale, you need your people teaching your other people, so we always work towards a ‘train the trainer’ outcome. And we get straight to the point… let’s be honest, it’s all about results. Without a pipeline as a result, it’s a wasted effort. So, again, embedded within our programmes is always the way of measuring your return. But everybody is different, so the way we measure differs to reflect that. And we know that simply deploying a company wide education programme isn’t strictly an easy thing to do. Which is why we have structured, and recommend, that you start with a pilot to prove the point. We play down the importance of tools, but they are really useful – we just won’t recommend any single tool as the best; we’re not going to schedule your tweets for you, unless you pay us extra to do so; and we won’t believe you when you say: “we’re already doing social selling”. Let’s see? Have you invested in LinkedIn Sales Navigator or Artesian licenses, or some other subscription based social selling miracle, and are seeing no discernible usage or value from it? Then yes, we can help you. Ask us and we’ll tell you how.